Dr. Sonja Grimm is senior lecturer (Akademische Rätin) at the Department of Politics and Public Administration, University of Konstanz, Germany. Currently, she is Professor for Political Science ad interim at the Department of Political Science, University of Basel, Switzerland. 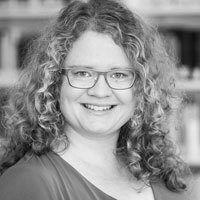 Sonja specializes in democratization studies, the study of state-building and transition to democracy in post-conflict societies and fragile states, international democracy promotion, development cooperation and EU integration. Her research projects deal with EU democracy promotion in the Western Balkans, the effectiveness of international democracy promotion, and the international politics of fragile states. Most recently, she has started to observe the consequences of the Arab spring in the MENA region. Her cumulative habilitation focuses on “Studies of International Democracy Promotion in Post-conflict Societies and Fragile States”. Sonja teaches various courses for the Political Science and Public Policy Bachelors and Masters majors at the university of Konstanz. Sonja has been visiting researcher and guest lecturer at the universities of Gothenburg, New Caledonia, Nottingham, Oxford, and Prague. Before coming to Konstanz, Sonja worked as researcher at the Berlin Social Science Center (WZB) in the research unit “Democracy and Democratization” and taught at the Humboldt University in Berlin. She earned her doctoral degree from the Institute of Social Sciences at the Humboldt University in Berlin. Her dissertation, “Erzwungene Demokratie. Politische Neuordnung unter externer Aufsicht in Nachkriegsgesellschaften” [Imposed Democracy: Political New Order under External Oversight in Post-War Societies] focuses on the role of external actors in the building up of democratic institutions after a civil war and military intervention. Before working on her dissertation, from 1998 to 2004 Sonja studied political science, history, and art history at the Ruprecht-Karls-University Heidelberg and at the Institut d’Etudes Politiques, Science Po, Paris. More about Sonja Grimm here. in: Contemporary Politics, 22: 2, 125-143.
in: Third World Quarterly, 35: 3 [also published as Special Issue Book, London: Routledge]. in: Democratization 21: 5, 912-936.
in: Third World Quarterly 35: 3, 197-209.
in: Third World Quarterly 35: 3, 252-267.
in: Annals of the Croatian Political Science Association, Vol. 10.
in: Democratization 19: 3 [also published as Special Issue Book, London: Routledge]. Discussion Paper 8/2011, Bonn: German Development Institute. in: Democratization 15: 3, 457-471.
in: Kneuer, Marianne/Erdmann, Gero (eds. ): Externe Faktoren der Demokratisierung, Baden-Baden, Nomos, 103-126.
in: Schuppert, Gunnar Folke (ed. ): Governance als Prozess, Baden-Baden, 201-224.